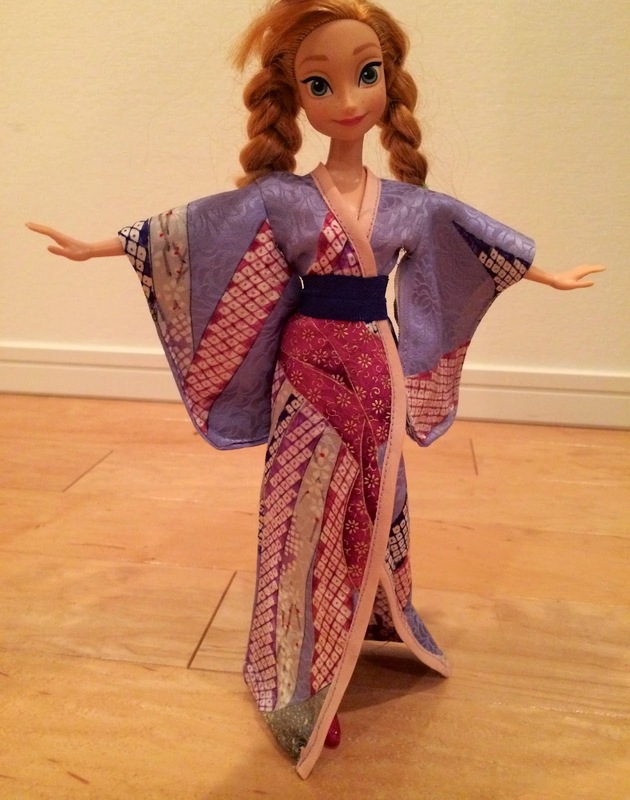 Beth Being Crafty: Printable Doll Kimono Pattern and Tutorial! 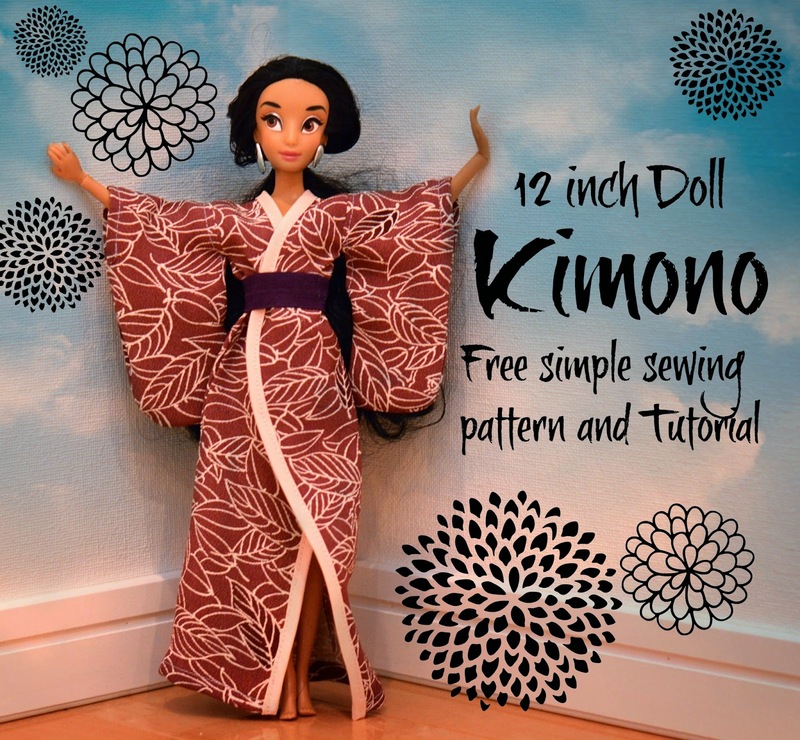 Printable Doll Kimono Pattern and Tutorial! I finally gathered enough nerve to go into the shop near my neighborhood where they alter and sell vintage kimonos and yukatas, and spit out some vocabulary words about cut fabric accompanied with mime ask about purchasing some fabric scraps from them. Amazingly enough, I was successful, and now I have a bag of vintage kimono scraps to play with! One way I KNEW I would use the scraps was by making doll clothes. Little Sister's doll play has reached a stage where getting the dolls dressed (several times) is every bit as important as the make-believe that happens afterwards, and I am looking forward to building the doll wardrobes beyond the Disney princess costumes they all came in. So since I had kimono scraps, what better to make than kimonos! 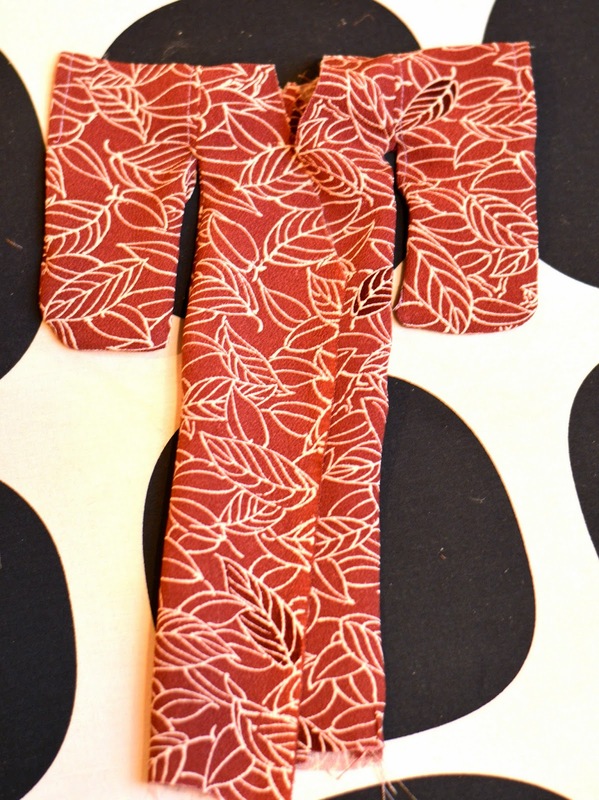 I figured that since a doll kimono is a fairly simple shape and construction that there would be a tutorial or pattern out there that I could follow, but there was actually surprisingly little that I could find online. 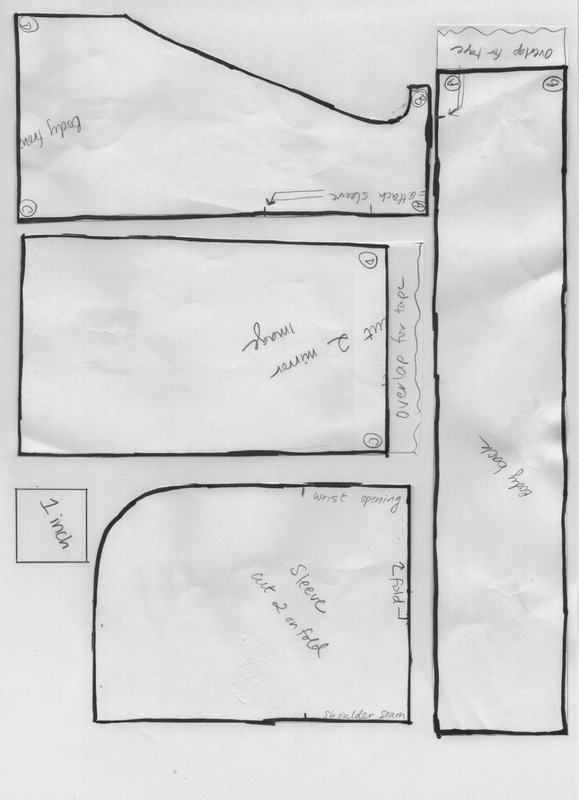 So cobbling together a few things I found, I created a printable pattern that I decided to share with you! It will look like the pic below, and the link to the printable is in the caption! Ok, so on to the tutorial. Here goes! It's been a while since I've done a full tutorial so let me know if you've got any questions. 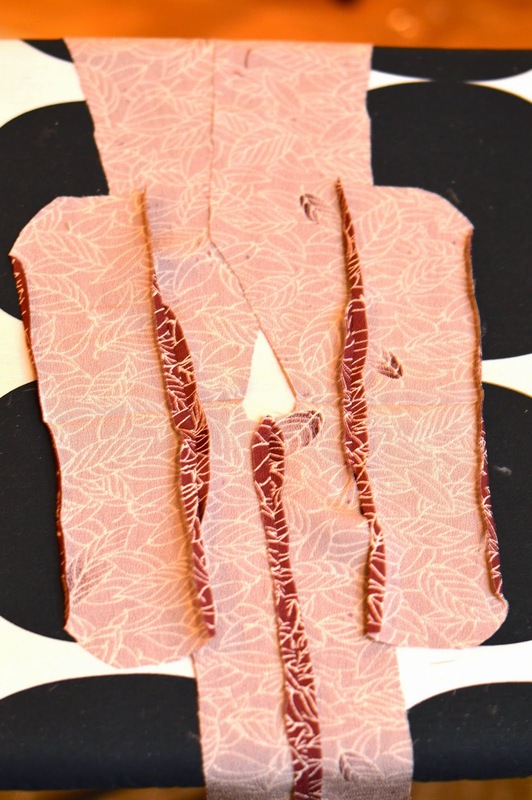 Note that the body pieces are NOT cut on the fold, they are two separate pieces. And I cut out both sleeves at once by doubling the fabric over at one end and cutting both on the fold at once. Note--I rounded the neckline out in the final pattern so yours will look a tiny bit different. 3. 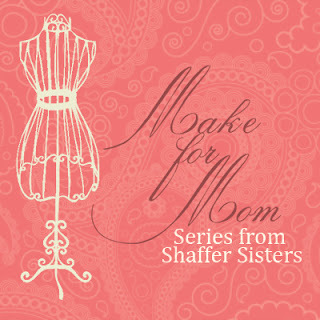 Lay the two body pieces right side together and sew the back bodice pieces together from hem to neckline, then press open. Hmm, those pins are pretty hard to see. If you squint, you'll see them on the bottom right edge of the fabric here, they go from neckline to back hem. 4. Fold the front body panels over to line up the hems, then press a sharp line at the shoulder. Also press a nice line into your sleeves while you're at it. 5. Lay the body panel out, right side up. 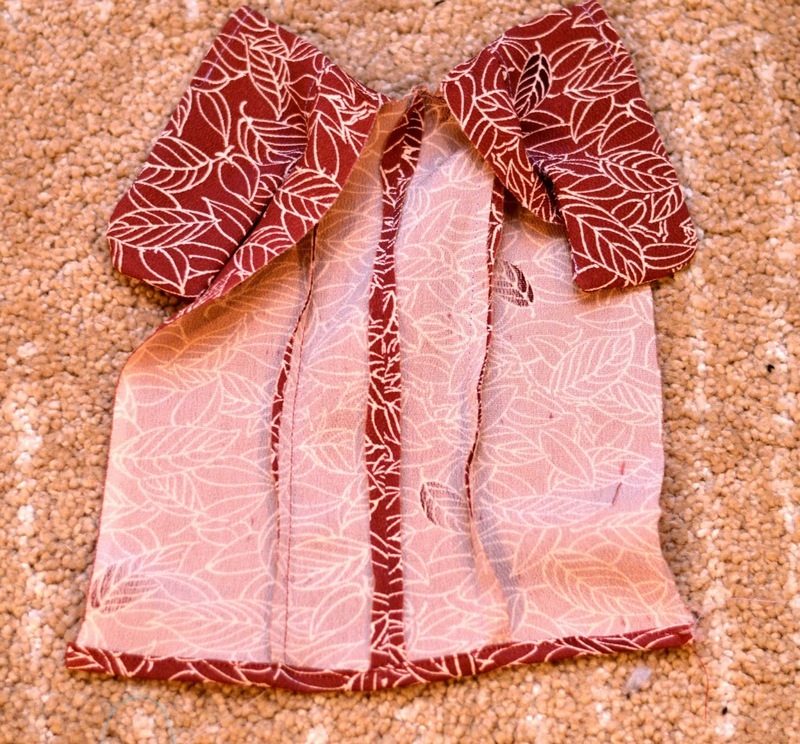 Take your first sleeve and lay it right side down on top of the body panel so that the pressed line on the sleeve matches up with the pressed line at the shoulder, and with the straight edge of the sleeve along the outside edge of the kimono body. 6. Pin the pressed lines together, then pin 1.5 inches away from the center line on either side. Sew the sleeve onto the body ONLY on these three inches in the middle. Then do the same with the other sleeve. 7. Press the seam open where the sleeve joins the body, then press the rest of the straight edge of the sleeve over to match that seam allowance (so you should have 1/4 inch or so pressed over the full length of the sleeve). Press the other edge of the sleeve (between the two curved corners) over as well as shown below. 8. Sew the folded edge down that is closest to the body of the kimono--the straight edge where the sleeve is attached in the middle. There will be an opening at the armpit like in a real kimono, so you want those open edges to be finished. 9. On the outer edge of the sleeve (the one with curved corners), turn the middle 3 inches over a second time and hem in place. This will be your wrist opening, so it needs to be finished. 10. Now fold the sleeve in half, right sides together. Sew together starting about an inch from where the sleeve joins the body of the kimono, around the bottom of the sleeve, and stopping at the finished wrist opening. 11. Now pin the side of the kimono with the finished sleeve. Pin all the way from the armpit to the hem and sew closed. I found it easiest to start sewing at the hem and end at the armpit. 13. 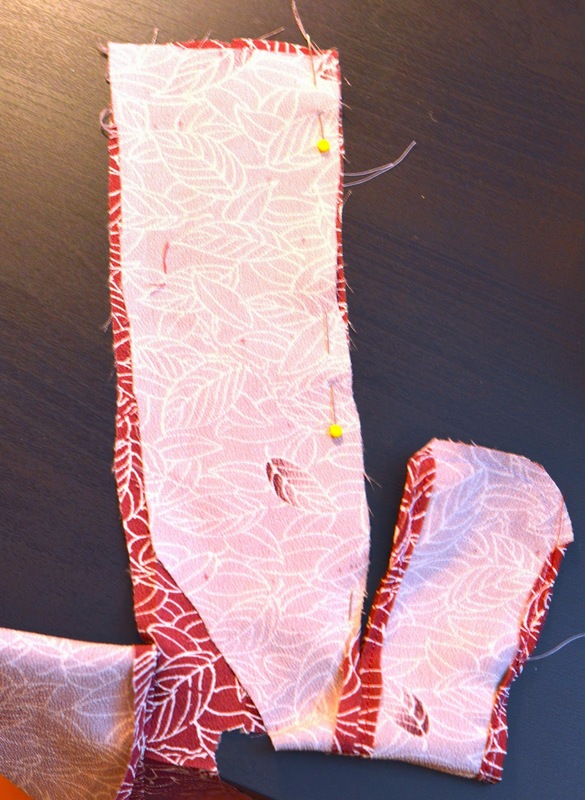 Trim the corners on the sleeve seam allowances carefully, then turn the kimono right-side-out and press. 15. 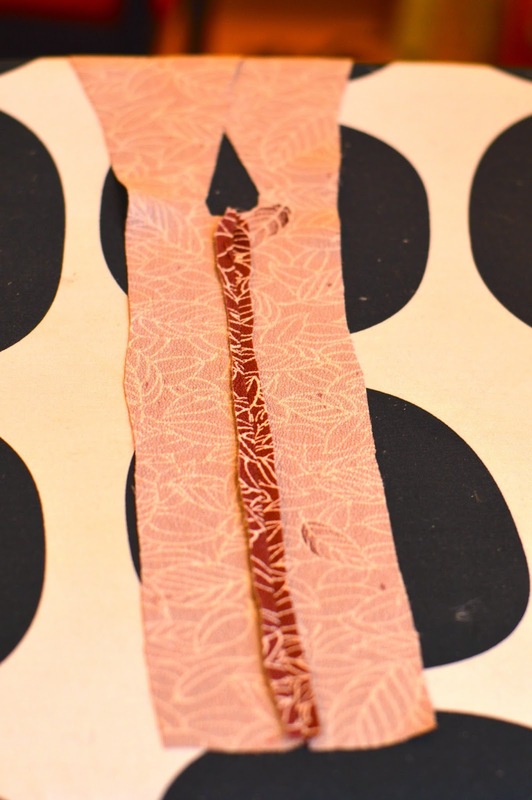 Now attach bias tape all the way around the opening, starting at the hem on one side and going all the way around. I used single fold bias tape and folded it in half to get a thinner double-folded tape look. 16. Once the bias tape is on, give it a final press and the kimono itself is done! 17. Now you just need an obi/belt. For mine, I just cut a piece of foldover elastic to 4.25 inches and sewed it together in the back. It has to be pulled up over the doll's feet. But you could also use a piece of ribbon and add velcro, or a snap. Also, real obi are very elaborate so you could have a lot of fun making a more authentic one! But for my purposes the elastic worked very well. Here are a couple of my earlier tries--I adapted the pattern several times along the way and am really happy with the way the final pattern came out. I do have some sad news though-- I was making my 4th kimono, the thin fabric got caught in the machine and pulled the thing that catches the bobbin thread (hook timer? I can't remember) out of whack. After watching a few youtube videos I was confident that I could fix it myself, but after removing every visible screw on my machine and still not being able to get the case off, I gave up and brought it to a sewing machine repair shop in Shinjuku, where thankfully the guy spoke enough English to understand my problem. Well, that and he had eyes, and the problem is pretty obvious, so all was well. But being without my machine for 3 days has been brutal! I was on a roll with working on gifts, and now it's all on hold since I have a friend visiting (HOORAY!!!! Picking her up in an hour!) and I know I'd rather hang out with her and show off Tokyo than sit in front of my sewing machine while she's here. But I hate paying $85 to fix a 6-month-old machine that only cost $250 in the first place. I don't even want to try to figure out the warrantee, since it's in Japanese and I don't want to send the machine out somewhere and get it back who-knows-when, but I am starting to think I should have invested in a better machine. 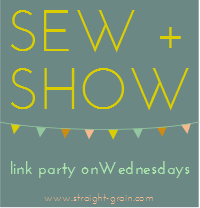 I didn't know how much sewing I would be doing when I picked out the one I have! We'll see if this one ends up lasting me the rest of my time here, or if I end up upgrading after all! 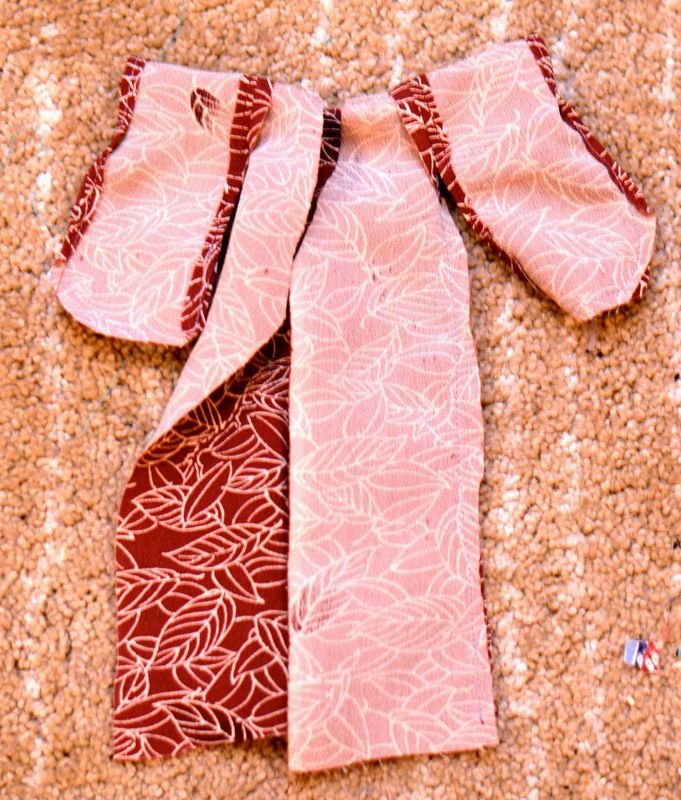 oh, those mini kimono's look so cute I almost want to buy my little girl the right kind of doll so I can make one (currently her dolls are more surrogate baby sized, if you know what I mean). These look great, thank you for the tutorial! Lovely! Your instructions are what makes it wonderful for me, because I've had kimono patterns in the past. Either I misunderstood the directions or steps were missing, or I have a mental block. Thank you for your patience. are the seam allowances already added into the pattern ? Hey there! I just wanted you to know that this pattern works beautifully! I've made two and they look just fantastic! I have just started sewing Barbie things for a friend's neighbor. These are tooooo CUTE! I've got to make one or two !!! Thanks for the tutorial--- Enjoy your stay in Japan. Sports Day Dress: A Bimaa Pattern Hack!